Communication breakdowns with providers wreak havoc on a payer’s bottom line. Imagine, if you will, two scenarios in a relationship between a healthcare provider and a health plan. In one, a provider receives a letter from a health plan telling them a claim is rejected, but not why. The denial letter is clearly automated, and clearly inaccurate to the provider who knows the claim was wrongly rejected. Frustrated phone calls between the provider and the payer ensue. Only to realize that the error was due to outdated information in the health plan’s system (despite the provider submitting corrected information months before). Or maybe, the story goes like this: a payer requests medical records from a provider multiple times – without realizing it, since the letters were sent manually and from different departments. So a provider ignores the requests, confused and too busy to quickly resolve the miscommunication. It’s not hard to imagine how frustrating either scenario is because provider-payer relationships often suffer from these types of communication misfires. Whether it’s a generic overpayment claims letter or multiple, overlapping medical records requests, outdated manual communications processes cost health plans a lot of money. Bad communication between providers and payers needs to improve to maximize cost-containment efforts. The good news is, technology with out-of-the-box functionality for communications management between providers and payers is more easily accessible than ever before. Part of the shift to value-based care requires providers to assume more risk and begin to collect payments at the provider-level, resulting in “the lines between what providers and payers do beginning to blur,” writes Healthcare Informatics, who calls this transition inevitable. As providers and payers seek to control rising healthcare costs, the ideas of traditional provider-payer relationships have begun to shift. Bad communication between the two may be more costly now than ever as we approach a health-scape that relies on flawless coordination between health organizations, insurers and providers. Many health plans may not factor in the heavy administrative expenses that come with poor communication, which results in time spent resolving errors that are avoidable. What’s more, the happiness of your health plan members has been shown to rely heavily on their interactions with providers. And providers, in turn, are able to provide better care when participating with health plan organizations with strong digital performances. It’s a cycle that requires health plans and providers to improve interoperability, writes Becker’s Hospital Review. To counteract the inefficient processes rampant in healthcare, technology featuring artificial intelligence has started to become more common. With AI, documentation, risk adjustment models and financial payments can all be improved upon. RevCycle Intelligence reports that the “complex process” of capturing accurate reimbursements is motivating many health plans and managed care organizations to invest in technology with AI capabilities. Technology advancement is so great in recent years that out-of-the-box functionality for provider communications is readily available. 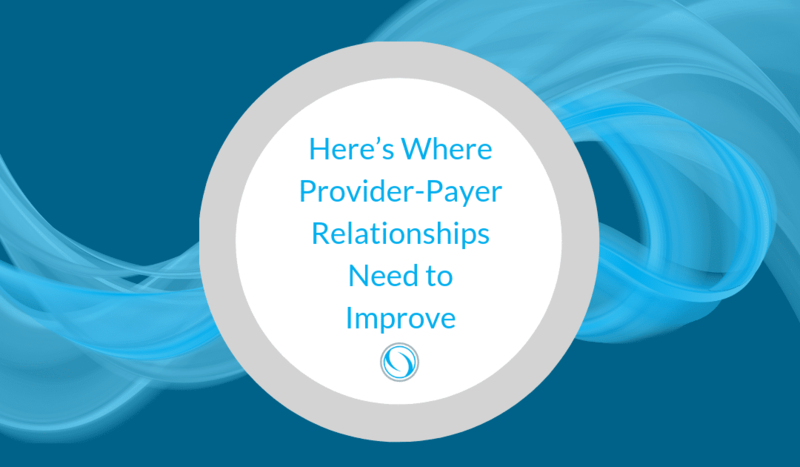 But many of the solutions on the market lack the kind of big-picture access that is vital to provider-payer relationship improvement. The best solution for communications management with providers is one that facilitates quick and accurate responses. Communications regarding over-payments, under-payments and denials require specific details. With Pareo®, claims letters can be tied electronically to relevant medical claims data and offered for review to providers through a secure portal. Reimagine the two scenarios from the beginning of this article: if Pareo® had been in use, correct data would have led to a quicker claims process while coordination and access to correct medical records would have prevented redundancy. Simply ignoring provider dissatisfaction is akin to overlooking health plan member satisfaction, a concentration for many insurers who are focusing efforts towards “on-demand” service for enrollees. Healthcare Finance News writes that the outcomes of provider abrasion vary, but often they lead to negative perceptions, limited access to needed medical records (needed to meet HEDIS and risk adjustment requirements), and perhaps even losing the relationship with the payer. Provider abrasion is often rooted in communication errors, and as our industry shifts towards transparency, the value of interoperability needs to remain in play. It’s incredibly important for healthcare leaders to work together in order to avoid communication mishaps that lead to a break down in business for both providers and payers. “Around the value-based world, the biggest challenge affecting the payer and provider is trust,” says Roy Beveridge, MD, CMO of Humana. The trust that Dr. Beveridge speaks of will rely deeply on clear, accurate communication between provider and payers.